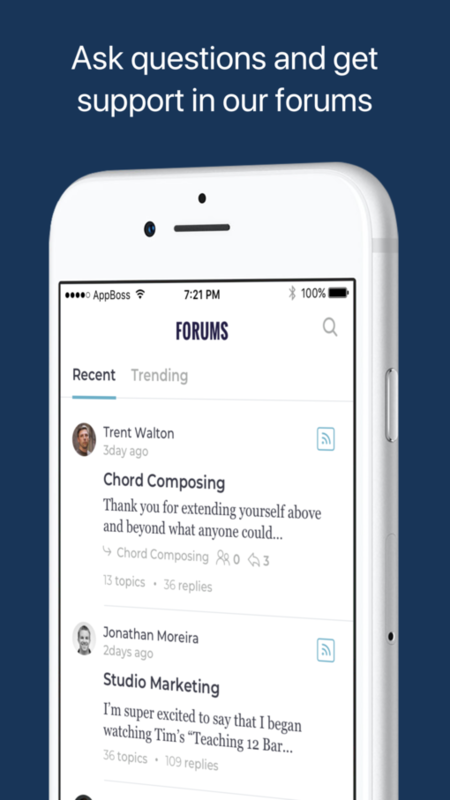 This week marks the release of my brand new Inner Circle Piano Teachers’ app, designed to make accessing training courses, lesson plans and discussion forums super easy for piano teachers around the world. 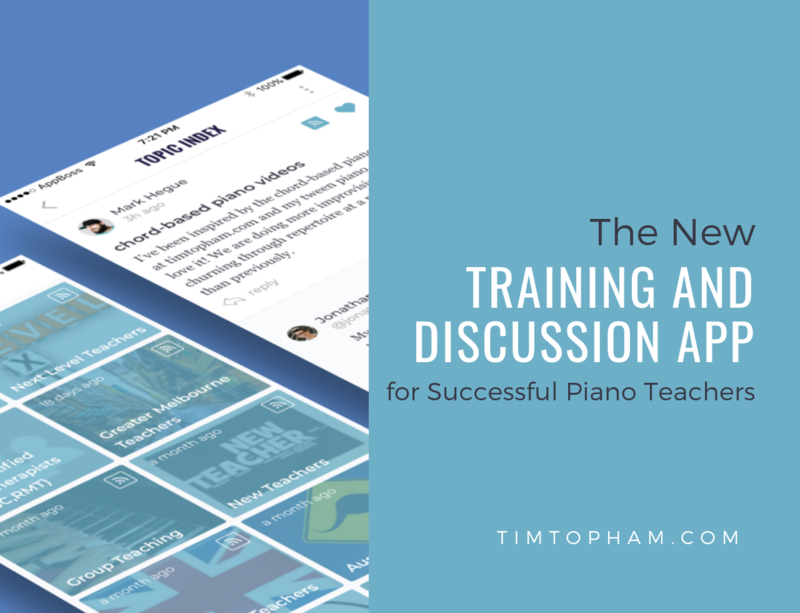 With the app, successful piano teachers will now be able to access any of our training resources directly from their iOS or Android phone or tablet, quickly and easily, during lessons or while teaching in students’ houses. 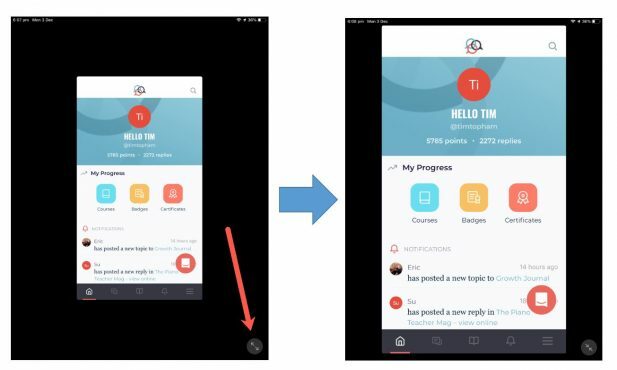 Teachers will also be able to easily participate in our forum discussions ‘on the go’, supporting other teachers by joining a discussion or asking their own questions of the group. You can now access other teachers wherever you are: Waiting in line at the post office, having a break at a cafe, waiting in an airport lounge (on the way to your next conference, of course!) or taking public transport. 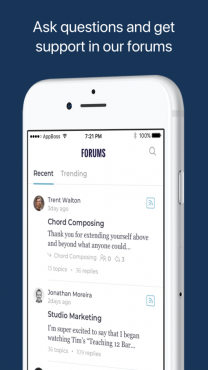 This app will truly revolutionise how all piano teachers globally can access continuing professional development training and programs to suit their teaching and business needs and grow the studio of their dreams. I don’t know about you, but I can sometimes go on Facebook to reply to some kind of notification and suddenly wonder what happened to the last 30 minutes of my life when I look up and realise I’ve been totally distracted and didn’t even reply to the original notification. 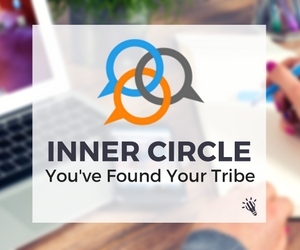 Join my Inner Circle and get access to my new app. In addition, sometimes people are downright aggressive and rude in those Facebook Groups. I feel so sad when people, especially new teachers, ask innocent questions or have the guts to post a picture or video of their teaching, and get shouted down and downright abused because others have different opinions. This was one of the main reasons I set up the Inner Circle Teacher Forums inside the membership and not on Facebook. There are just too many rude people, people who aren’t willing to give and share, and too many people who don’t know how to be supportive of other teachers on Facebook. I wanted to create a safe place for teachers to ask any questions without concern of vilification and provide a place where everyone regularly shares their ideas – good or bad – so that we can all learn from them. Now it’s just as easy as it is on Facebook – forget being a member of 20 different Facebook groups and seeing only a couple of posts a week from each, depending on how the Facebook algorithm is feeling. Get real, detailed help from other members and our Expert Teaching panel from around the world, whenever you need it and with total ease. Click here to download the app on the App Store and click here for GooglePlay! For almost three years, the Inner Circle has been the most innovative and comprehensive online training and professional development resource for future-minded and successful piano teachers. Our repository of knowledge in the form of courses, lesson plans, teaching videos, interviews and downloads only continues to expand. How to expand the app view on iPad. The app is designed to work seamlessly in conjunction with the main Inner Circle website, which will also be undergoing a refit in January 2019. We’d love to welcome you inside the Circle if you’re not already a member. You’ll get instructions about accessing the app when you join us. Find out more about the benefits of becoming an Inner Circle teacher by heading to timtopham.com/community. Thank you for extending yourself above and beyond what anyone could ever expect. You have been such a great source of encouragement and inspiration and I am most grateful for all you do. I can only imagine how blessed your students must feel having you as their teacher. I’m super excited to say that I began watching Tim’s “Teaching 12 Bar Blues” course and have taught the first lesson to four students so far. One was the boy I’d like to “fire” because he just won’t practice! He got a big goofy smile on his face and laughed while he started playing. I hope this is the beginning of him loving piano. I’ve been inspired by the chord-based piano videos at timtopham.com and my tween piano students love it! We are doing more improvising and churning through repertoire at a much higher rate than previously. Nowadays there is SO much information out there and it's very nice to know that here you will find the best and most innovative resources. If you have any questions about the new Inner Circle app or about membership, please leave them below.